Here’s what’s up in the world of TV for Thursday, April 27. All times are Eastern. 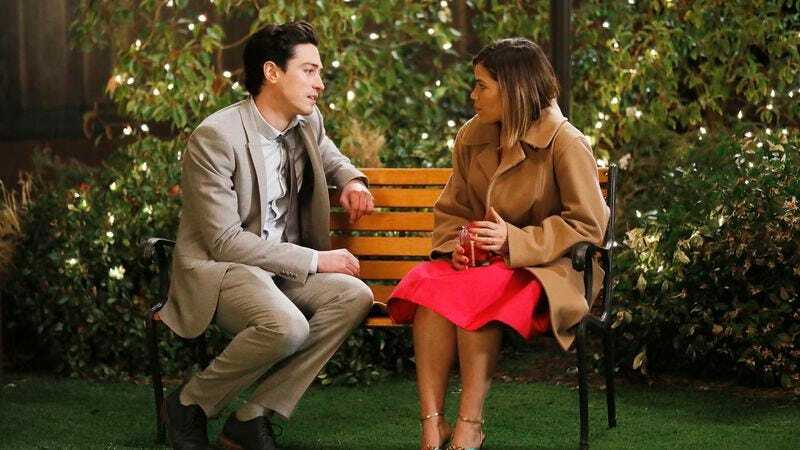 Superstore (NBC, 8:00/8:30 p.m.): Powerless’ defeat at the hands of the Peacock Programmer means two-for-one Superstore tonight. Only one of those episodes is new, but it’s a doozy: “Cheyenne’s Wedding” depicts the nuptials that were promised way back in the climax of the show’s pilot, when the Cloud 9 gang was still figuring things out and Son Of Zorn hadn’t swooped and carried Johnny Pemberton away on the back of a giant eagle. Most of season two’s ongoing storylines—Amy and Jonah’s will-they/won’t-they, Mateo and Jeff’s relationship, that layoff cliffhanger from last week—threaten to collide during what should be the happiest day of Cheyenne and Bo’s life. Les Chappell will be your combination officiant/DJ tonight—and no, he doesn’t take requests. Beerland (Viceland, 10 p.m.): The home of Weediquette and Bong Appétit dives into liquid intoxicants with this travel show that follows Golden Road Brewing co-founder Meg Gill on a cross-country trip to taste the United States’ finest home brews and meet the people who make them. Austin, Texas-based readers may be disappointed to discover that Beerland is not a docudrama about the beloved Red River dive Beerland, where your What’s On Tonight correspondent made his last known contact with his ear drums, which were blown out during a performance by Thee Oh Sees in 2008.